Many people feel discouraged to learn how to sing. True, anyone can sing but not everyone can become good singers. Learning how to become a good singer should be fun and should not be a stressful activity. Learning how to be a good singer requires dedication, effort and patience. One needs to learn the secrets of singing well and mastering the skill of good vocalization. One has to go through the basic skills of learning how to sing. Here are 6 helpful tips that you need to know in order to learn on how to become a good singer. It is important to realize that your vocal chord is not a machine. Be sensitive enough not to strain it otherwise you will end up without a voice and unable to sing at all. It is sometimes difficult to realize that you are already straining your voice in your effort to improve it. It helps if there is someone else who can listen to you as you vocalize or sing to give you feedback. But you will know that you are doing your vocalization incorrectly once you feel that your throat already hurts when hitting a tune. Practice your voice to enunciate words clearly. Many singers fail to be impressive in their singing career because they tend to mumble the words. 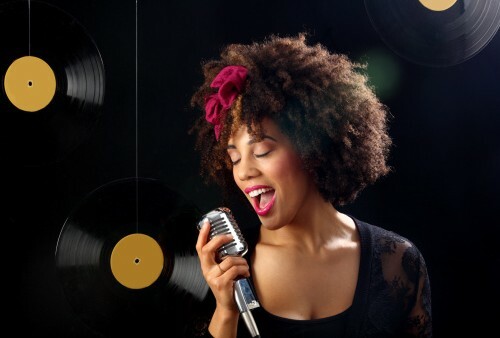 Good singers have the ability to blend the tune with clear lyrics for others to listen to. It takes a lot of practice however before you can be good at this. Start practicing by reading out loud from a book or newspaper. Start to read slowly with each syllable clearly expressed vocally. Feel the movement of your mouth as you speak each word. Then you can start reading tongue twisters like the famous Peter Piper as you go along. Also, try to practice in front of the mirror or in front of your family members. Try to pronounce each character and each word clearly. Sing in front of your friends and ask them about their review. Record your voice and listen it again and note down the points that you think need to be improved. The area on your abdominals just below the ribs is a powerful support for singing. Find this area by placing a hand just below the ribs. Make an “s” sound or cough out and you can feel your hands move. This is that part of your abs that helps to support your voice when singing. It can control pitch, allows you to control the volume of your voice, improve your tone to become powerful without straining your vocal cords, and basically helps you to sing in a more relaxed manner. Using this area also gives a nice ending on all tones. As you practice singing, try to place your hand on this area and feel its movement to make you aware that you are actually using this technique when singing. Learn to incorporate deep breathing while singing. Good singers are able to hit high notes effortlessly because they learn the technique of breathing while singing. It is important to support the tone and sound of your voice with deep belly breaths. Practice this technique by placing your hand on your belly, inhale through your nose and feel your belly rise. You can sing better without gasping for air when you perfect this technique. It makes you feel more calm and relaxed as well. Use your ear to retain music and tone of your favorite song. It is a good technique that good singers are able to develop that made them more comfortable singing a particular song. You need to bring yourself to listen to a song and then listen to your own rendition of tune on that song. You should be analytical of your voice. It helps you become more aware of your voice and your style in singing. Vocalization is a good way for you to become more familiar with your own voice. Keep playing your favorite song and learn how to accurately follow the tune. Keep on repeating a particular note from the song until you are able to sing it without straining your voice. Believe in yourself and your voice. You might feel e a bit nervous in the beginning and think about quitting. But remember its the practice that makes a man perfect. Watch talent hunt shows related to singing and that will give you an idea what common mistakes newbies do while singing. And, of course the comments made by the jury members would help your to train your own voice. Apart form that you can try singing in front of the mirror or in small public gatherings or musical shows. This will boost up your confidence and will help you to climb up the ladder. Getting a good voice lesson instructor is the best option if you really want to become a good singer. But you can start learning how to sing by knowing these basic tips at home.